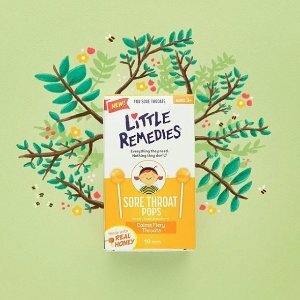 Amazon.com offers the Little Remedies Sore Throat Pops, 10 Count for $3.58 via Subscribe & Save to check out. Features: Calms Fiery Throats. Safe for Ages 3+. No Artificial Flavors, No Artificial Colors. No Saccharin or Alcohol. No High Fructose Corn Syrup.